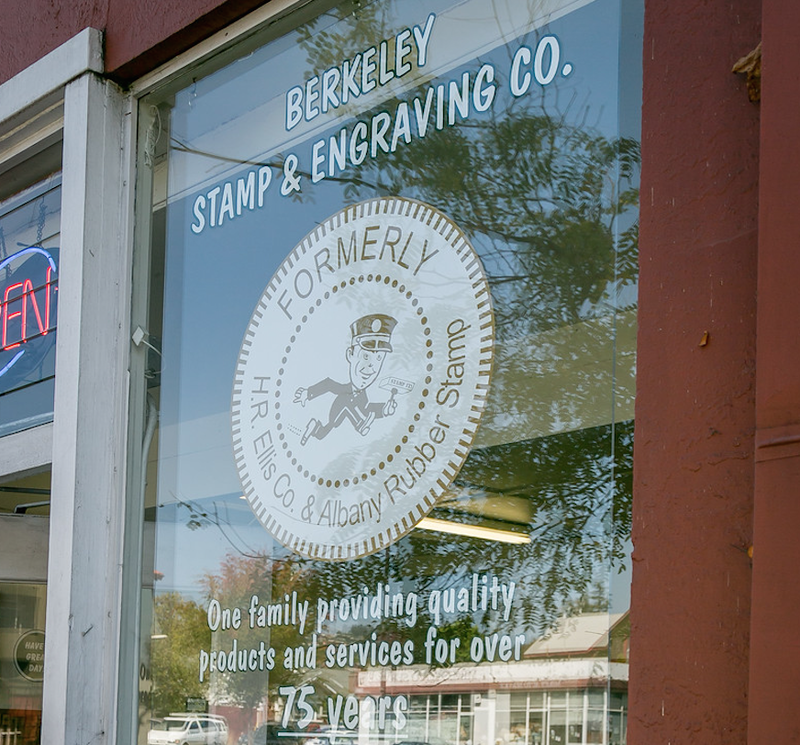 Mike Chilton is the owner of Berkeley Stamps and Engraving at 1680 University Avenue. 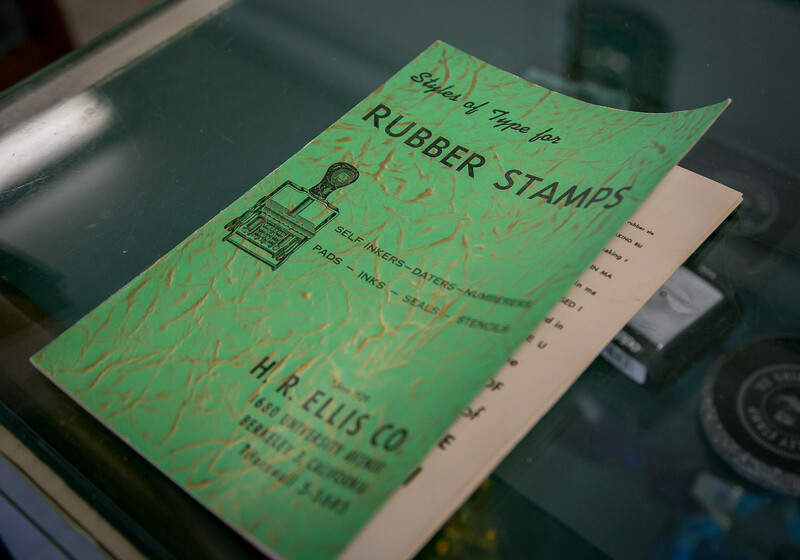 He is the fourth generation of the Ellis family to run the business, which was started in 1929. 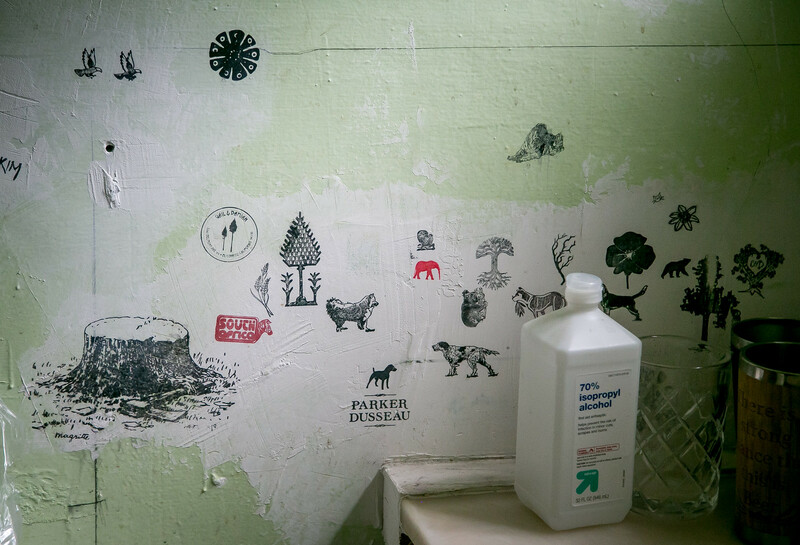 At times, fifth-generation members of the family have pitched in. 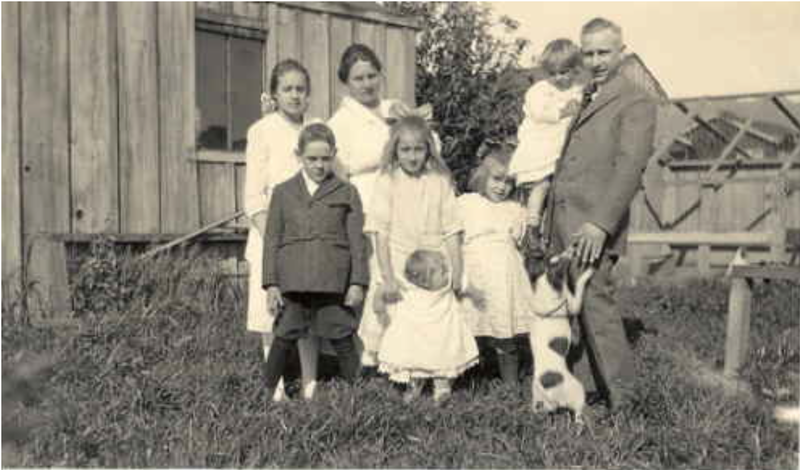 Herbert Ellis, who started the business, born in 1881, is shown with his children. 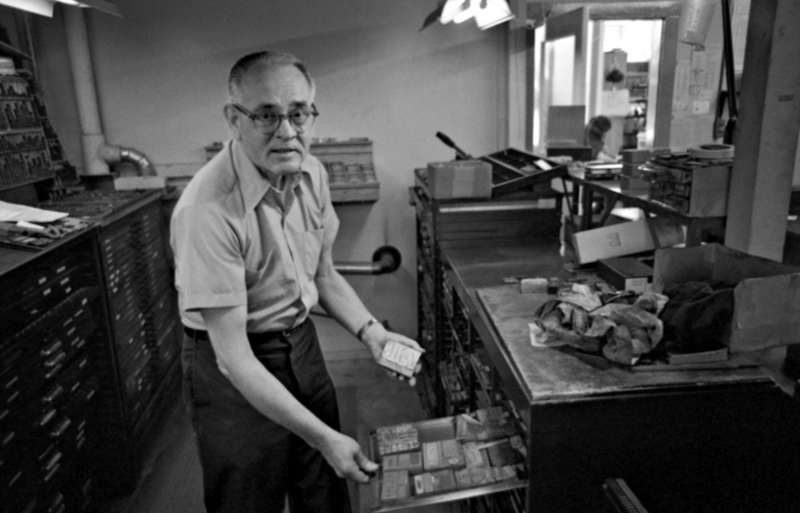 At the time of the 1929 bank crash and the start of the depression, Ellis was laid off from an office manager job with Patrick and Company, a San Francisco stamp company. 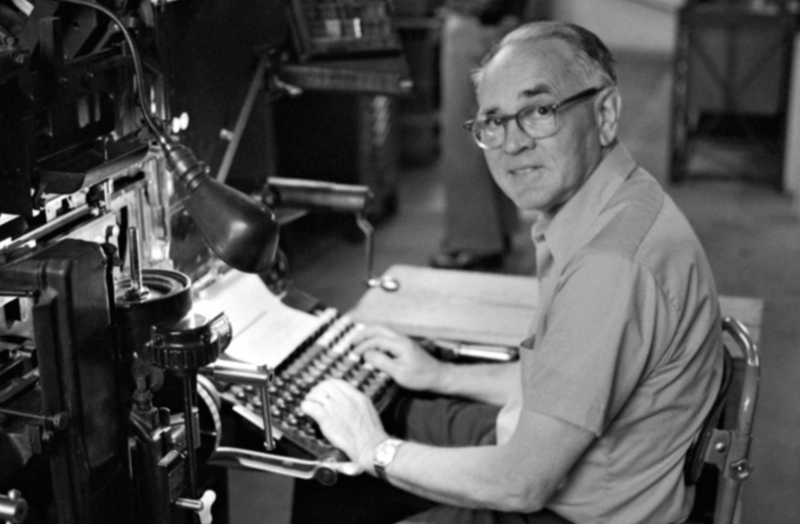 In 1929 he started the H.R. 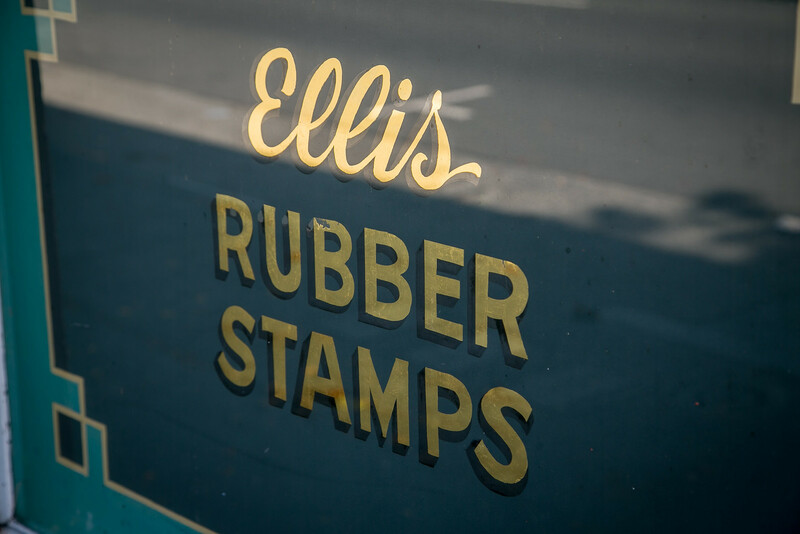 Ellis Rubber Stamp Company. 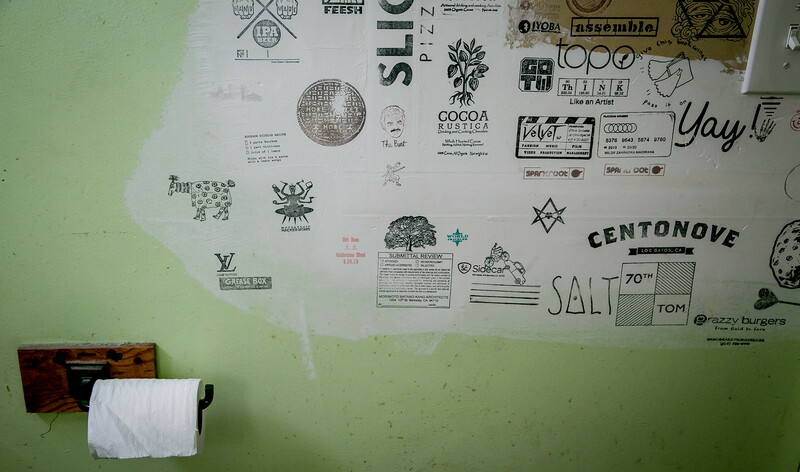 For 20 years, Ellis ran the business out of his Josephine Street home with his children as his employees. 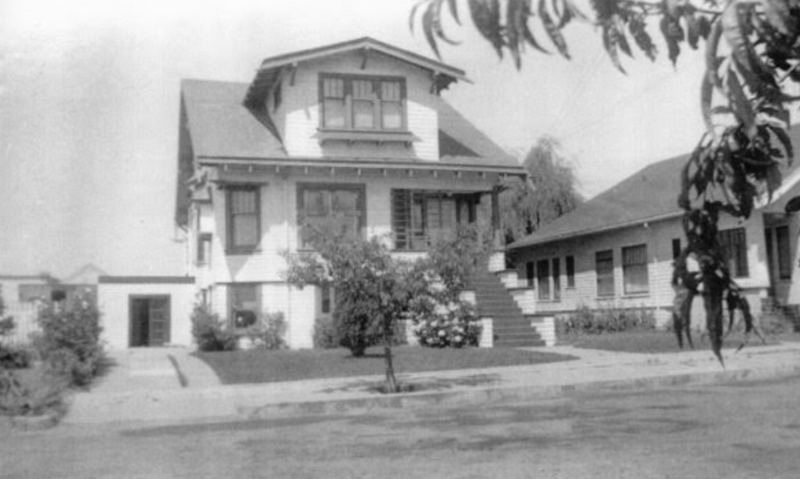 Herbert’s son Walter Ellis graduated from Cal in 1930 and worked at the business until 1943, when he enlisted in the Navy. 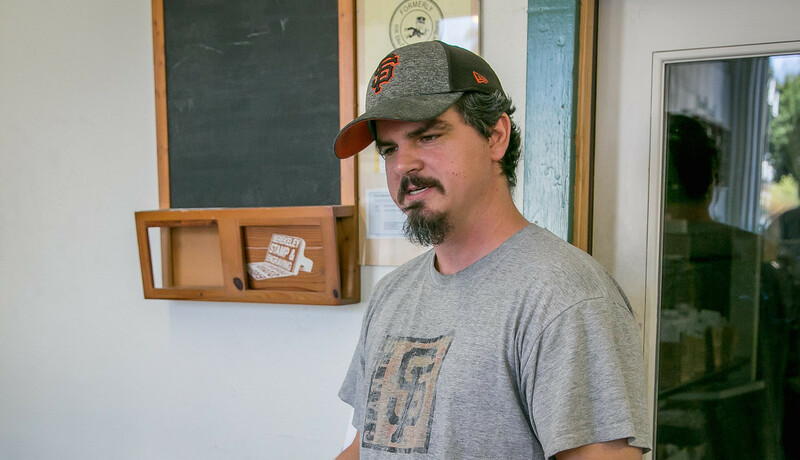 After three years in the Navy, he came back to Berkeley and the family business. 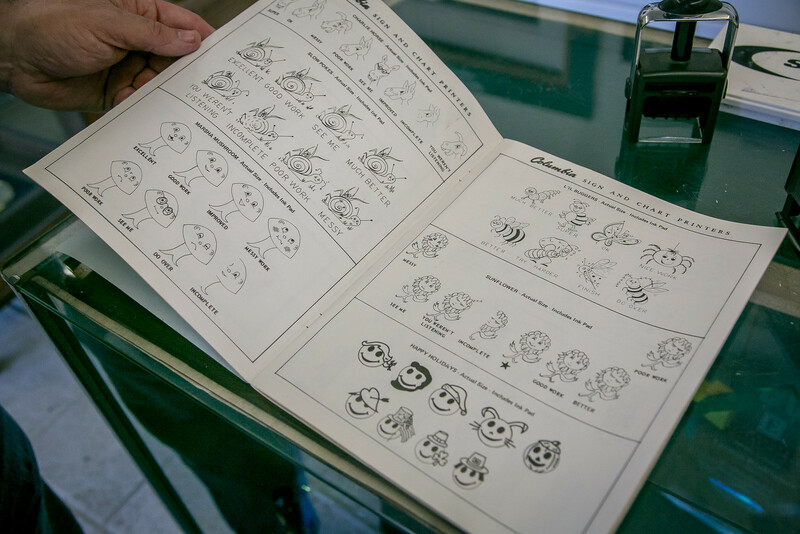 A few years later, his father turned the business over to him. 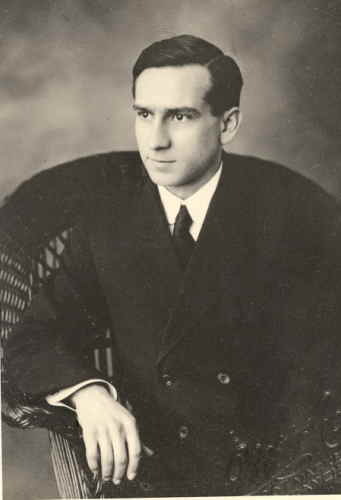 Herbert died in 1956. 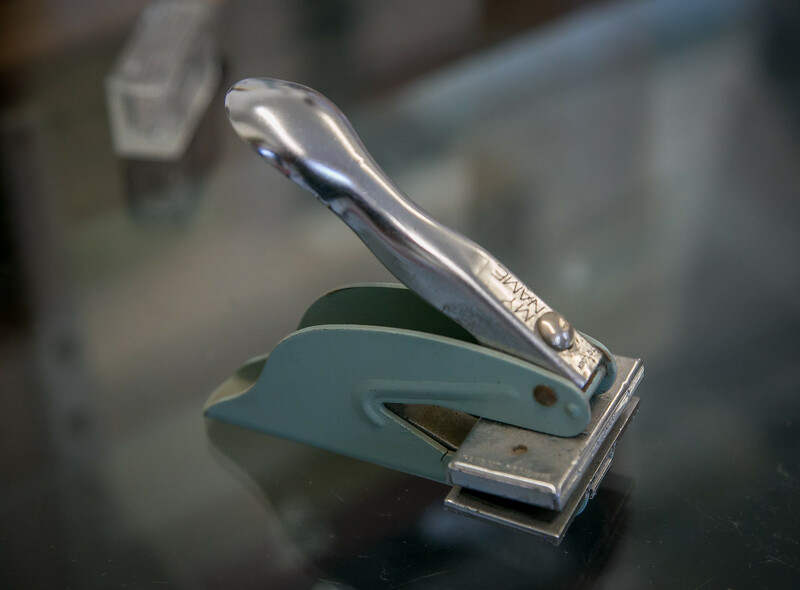 Walter ran the business until 2001. Photo: Berkeley Daily Planet, June 22,2001. As Ellis approached his 100th birthday, he fell sick. He told his family, “I have never been 100. I have decided to try it.” He rallied, saw in 2013, turned 100, and then a few months later died. Walter married but had no children. The business has worked its way through cousins and aunts and uncles, survived a family feud or two, and landed now with Chilton. 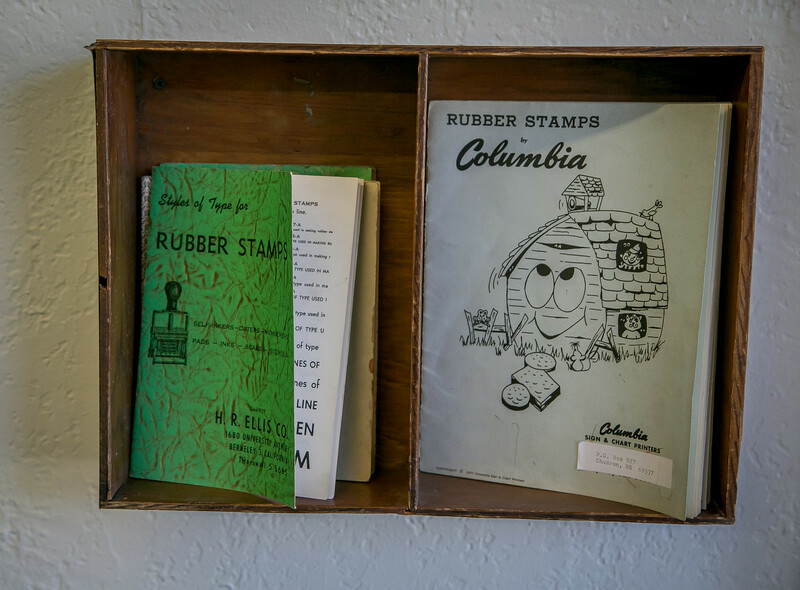 Cousins opened two other rubber stamp businesses. 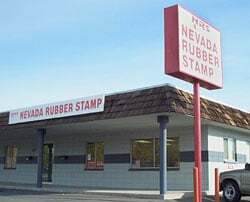 The Albany Rubber Stamp Company on Solano has closed, but the Nevada Rubber Stamp store in Reno, opened in 1949, is still in business. 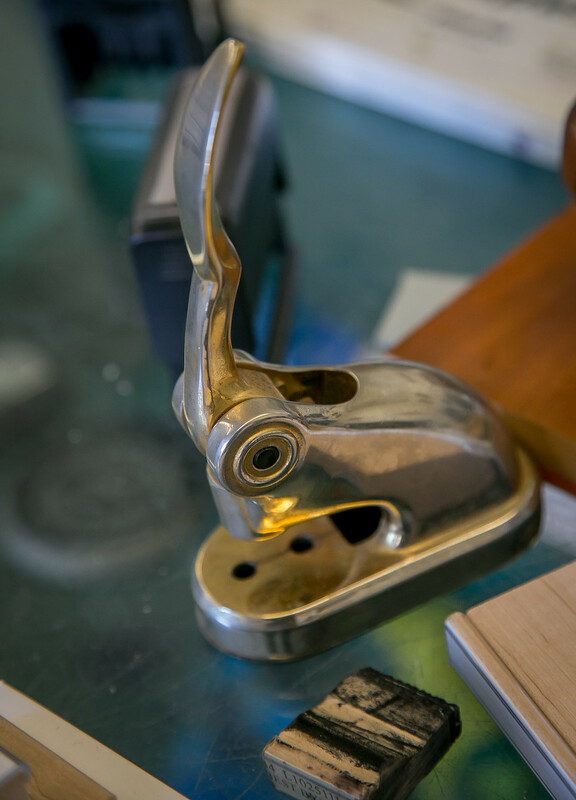 When the Albany store closed, the business was merged with the H.R. 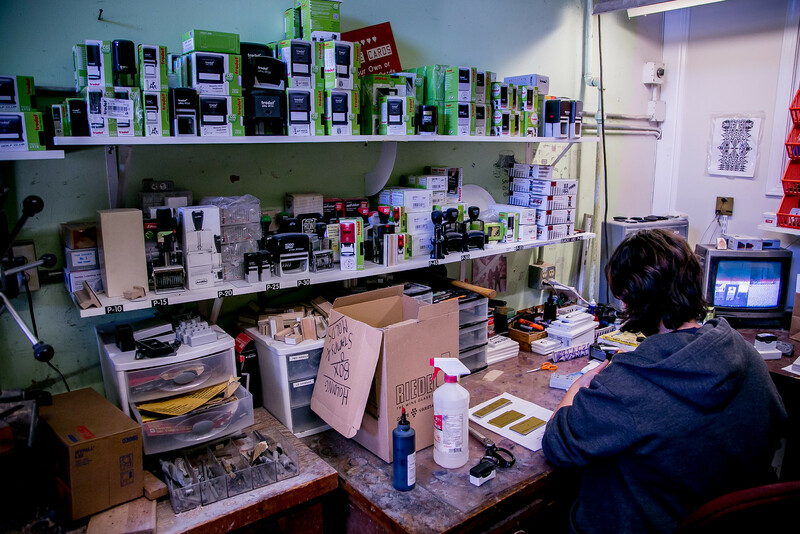 Ellis Company to become Berkeley Stamp and Engraving. 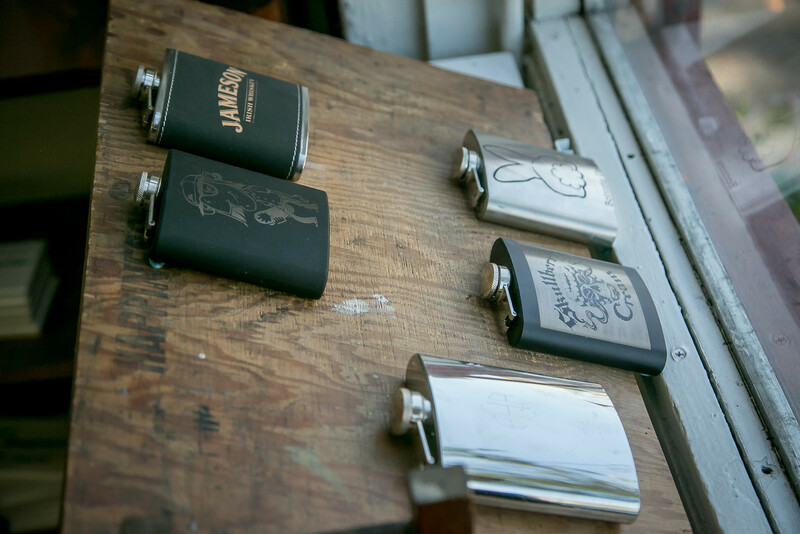 The mainstay of the business remains rubber stamps, but they also produce personalized promotional items like these flasks and the metal name plates being finished in the bottom photo. 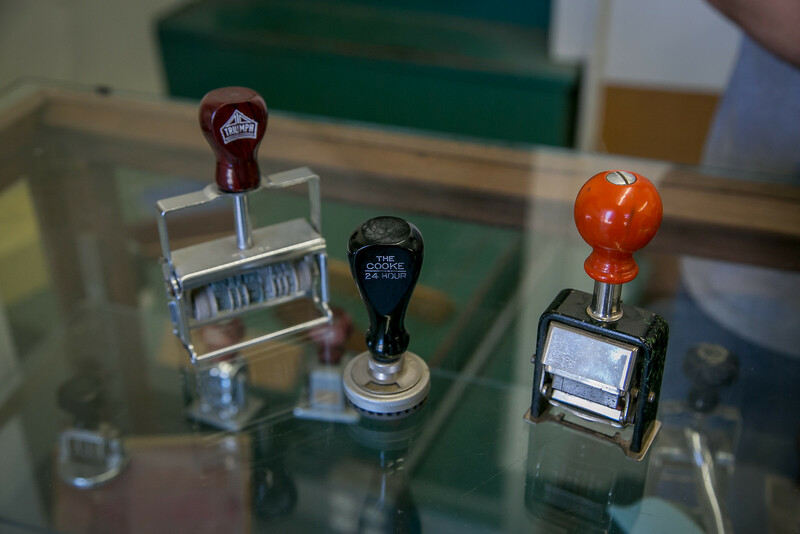 There are old stamps and manual embossers in the display cases. 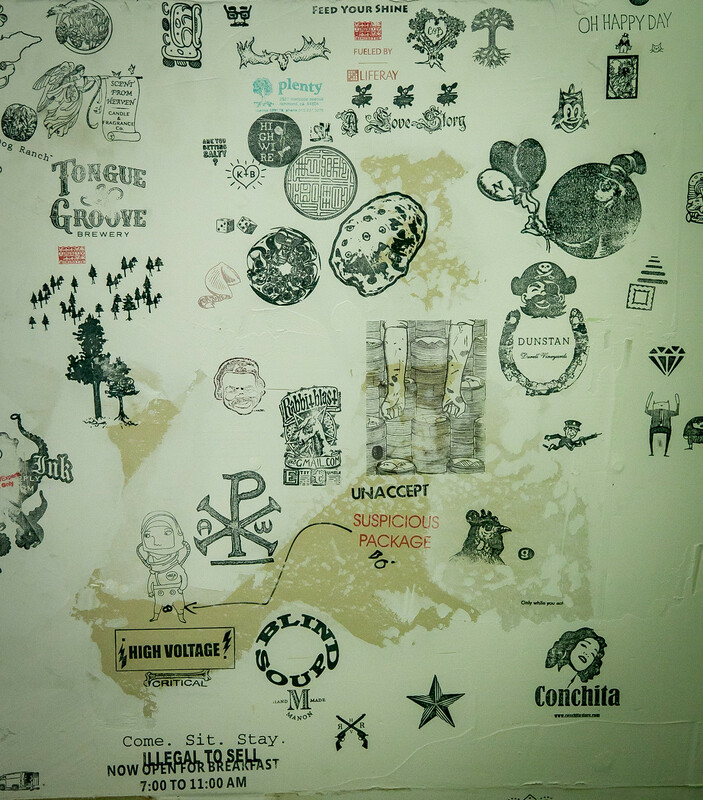 The coffee-related stamps were made for Blue Bottle Coffee early in its ascendancy, well before it was acquired by Nestle. 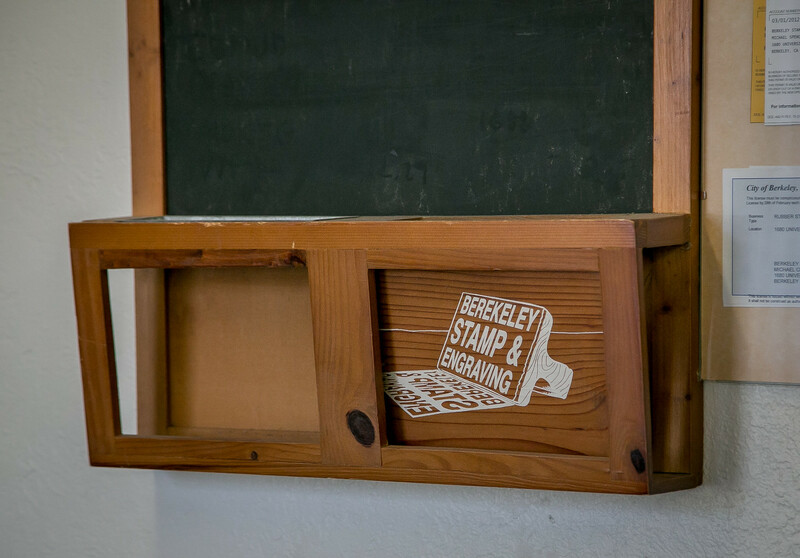 And – this chalkboard / cabinet made by a former employee. 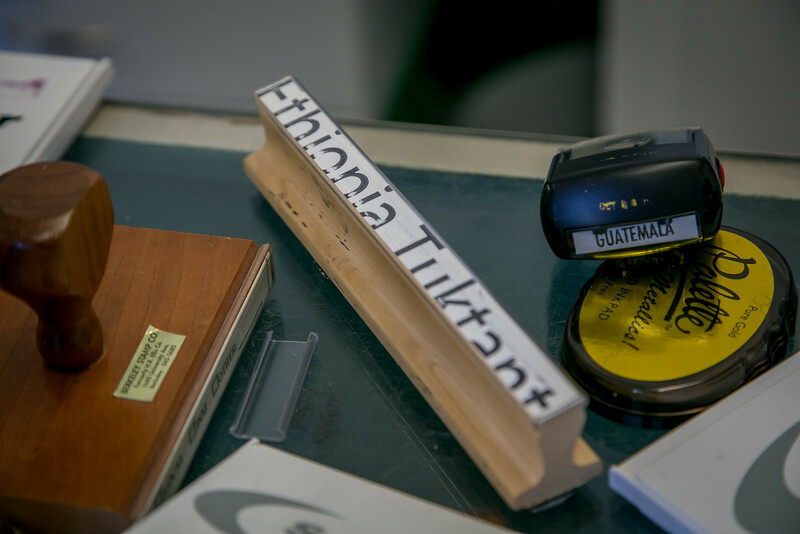 Chilton points out that technically the lettering on the stamp should be the mirror image and the stamped result the positive image, but we get the point. 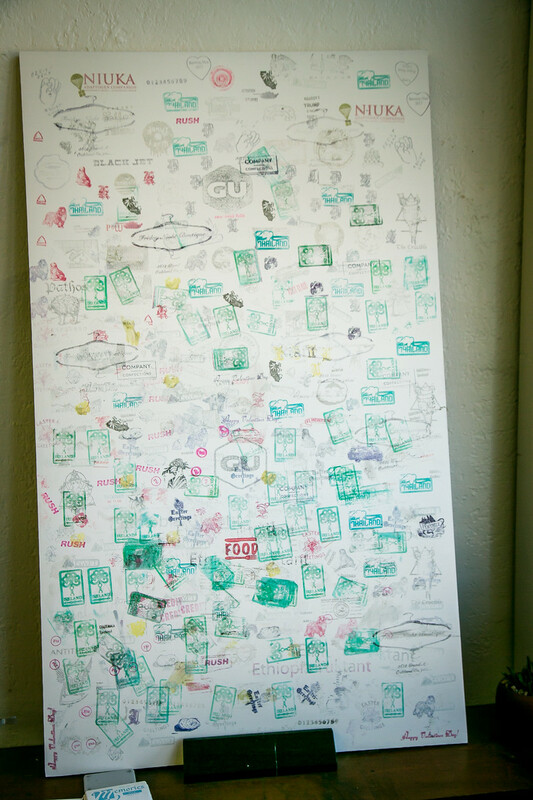 Boy, isn’t this promotional Berkeley Stamps train just plain wonderful! Where do I get me one of these? 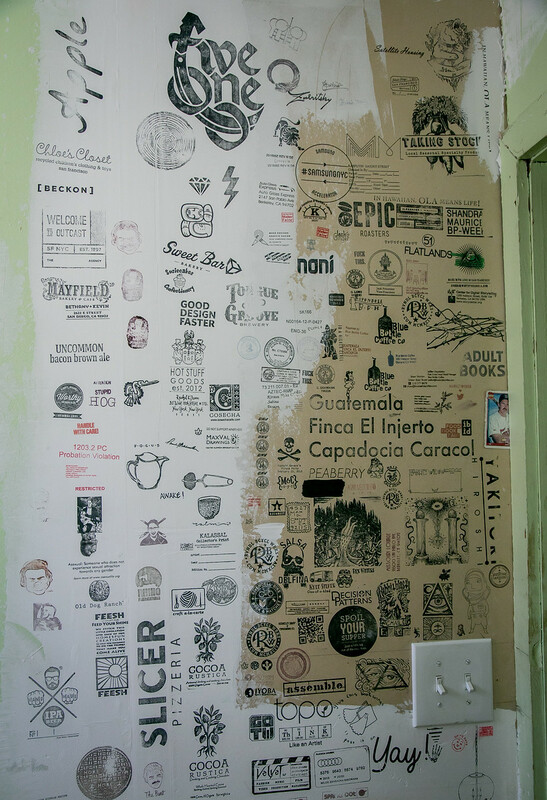 The old stamps, embossers, and catalogs rock, but for me the quirkiest feature in the place are the walls that have been stamped over the years. 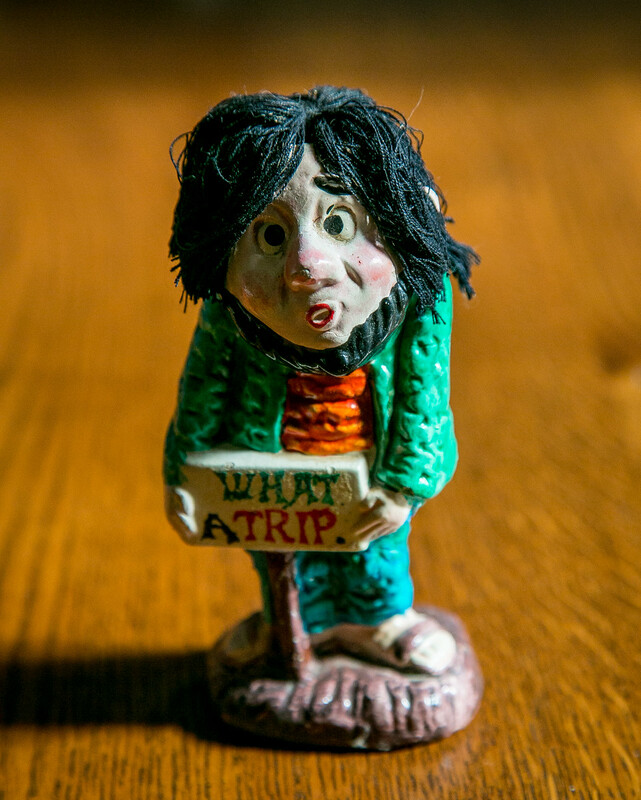 Taking this digression to its logical conclusion, I will send a free copy of Quirky Berkeley the book to the first person who knows the answer to the eternal question I posed above. HOLD THE CALLS – WE HAVE A WINNER – WITHIN FIVE MINUTES OF POSTING. The answer is – “Why not?” I still offer a second copy to the first person who can say where the answer is found. Use the comment feature to answer. Sorry, but no answers originating in McPherson, Kansas will be accepted. Chilton is proud of the business. He is proud of his family. 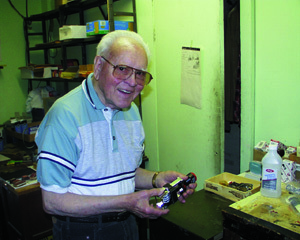 He is proud that the business has been there on University for 65 years. 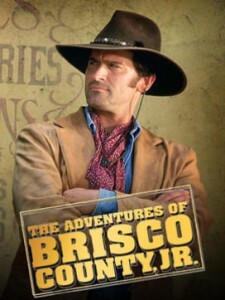 Chilton fondly remembers The Adventures of Brisco County Jr., which ran on television in 1993 and 1994. Brisco County Jr. was a Harvard-educated lawyer who decided he didn’t like practicing law and became a bounty hunter. The western genre was infused with over-the-top humor, steampunk, and science fiction. What’s not to like about that? But – I mention this why? Chilton named his dog Brisco. 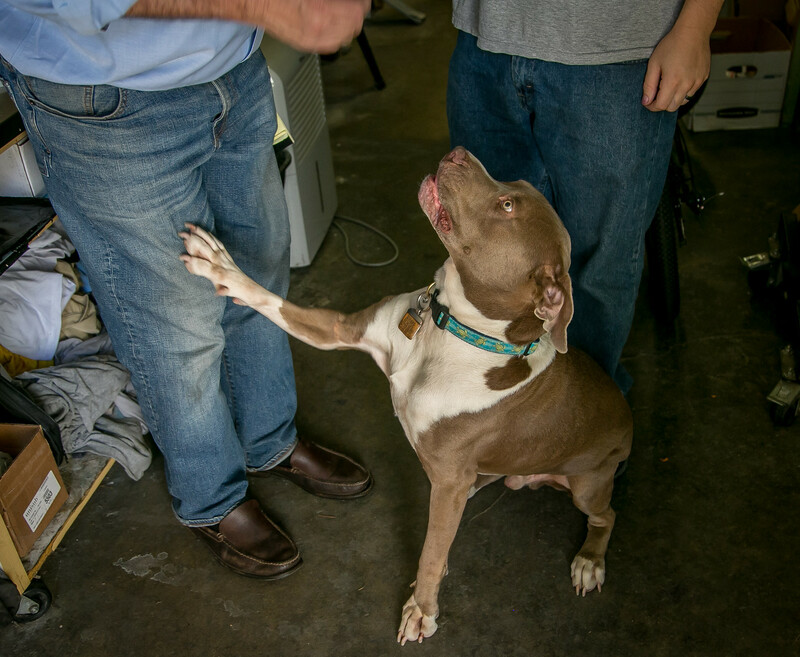 Brisco heard that Quirky Berkeley was in the house and demanded some of that Quirky Berkeley Big Love that he had heard so much about. He got it. 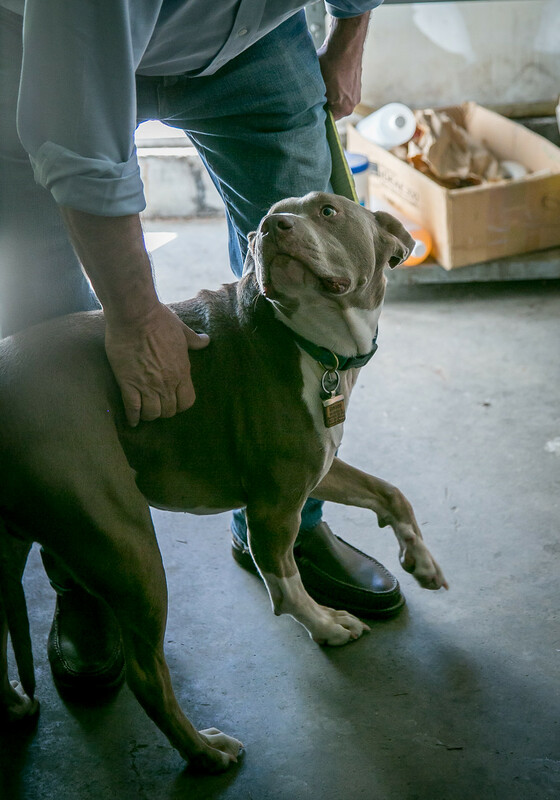 Pit bulls rock with Big Love just like everyone. 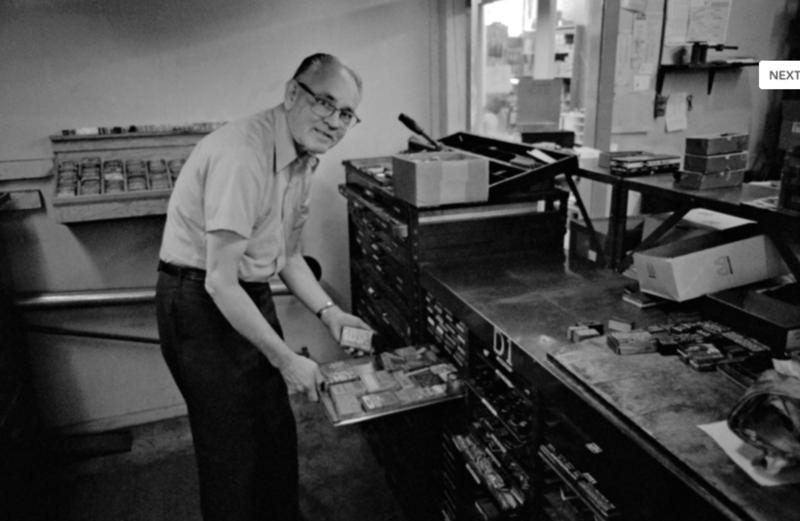 This is not all about me, but I bought some self-inking stamps from Berkeley Rubber Stamp in 2004 for an almost-endless editing job I was doing on a Very Long slang dictionary. 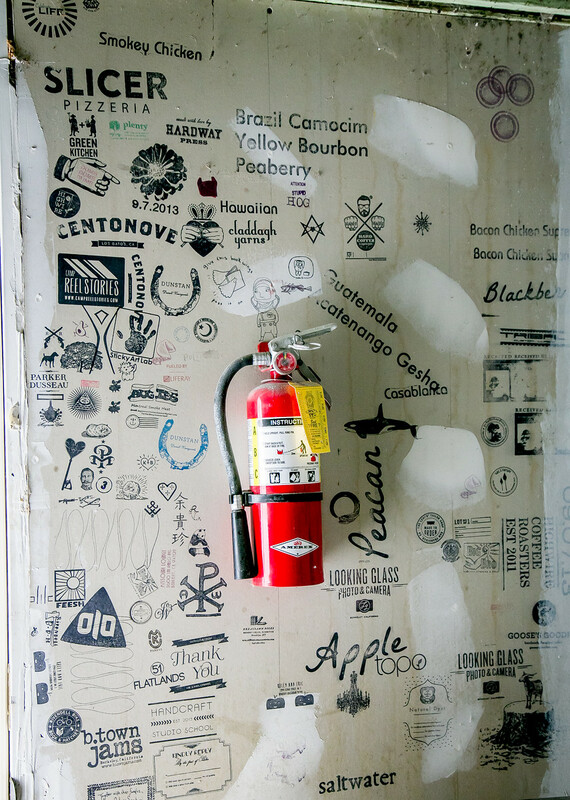 I have loved the store long time. As University Avenue morphs into a bland, anodyne imitation of Irvine, I salute and admire and applaud the small businesses that hang on and survive and lend character and individuality to the scene. I showed my friend the draft post. He chuckled. 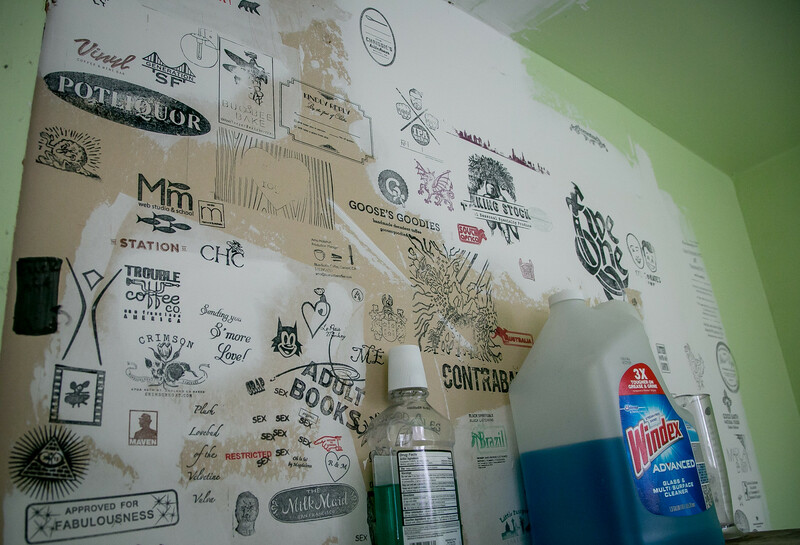 “Your friend Dave Seabury from the Psycotic Pineapple was over last week with a beat-up Pynoman rubber stamp that he got at Ellis 40 years ago. He was headed over there to get a new one.” Well, yes, that is interesting, yet another example of Quirky Berkeley Big Love all on the same bus. Coincidence? I think not. And, yes, I know, thanks to my friend, that The Incredibles launched the “I think not” meme. What does he think of the post though? BINGO. 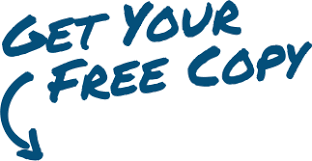 Please send me your full name and address and we will RUSH YOU a copy of the book. Wally and Pat Ellis were wonderful people who were beloved members of my church. 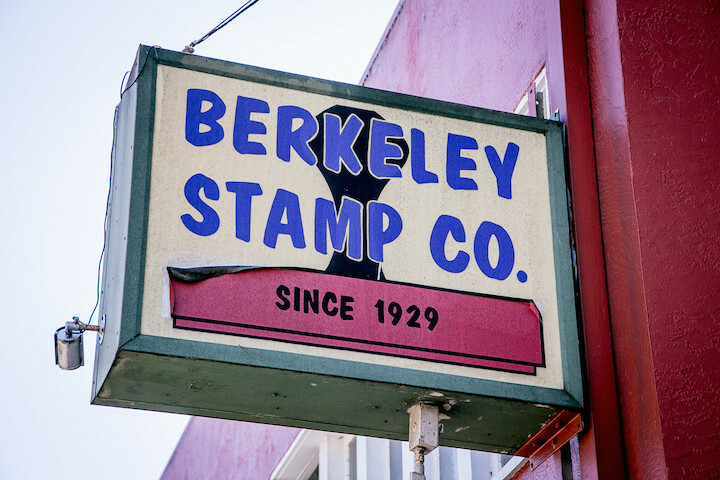 Like my former fellow schoolmate Dave Seabury, I too have been a longtime if infrequent customer of Berkeley Rubber Stamps, simply because the high quality of their products renders them extremely long-lasting. BTW, I was under the impression that the British author Douglas Adams ( “The Hitchhiker’s Guide To The Galaxy”) had resolved the answer to your question as “42”.